As a field we’ve known for a long time that homelessness does not affect all people equally. African Americans and Native Americans are significantly more likely to become homeless than white people. There are also troubling disparities in homelessness among young people. Voices of Youth Count, the most comprehensive study on the prevalence of youth homelessness to date, found that Black and Latino youth are 83 and 33 percent more likely than their white peers to experience homelessness. These trends are distressing for those of us working to end homelessness, but, unfortunately, they’re no longer surprising. As a field we’ve been slow to address racial disproportionality in homelessness, preferring instead to pursue “universal” solutions that fail to center those most in need of services and care. It’s long past time for us correct the shortcomings of a color-blind approach to homelessness. At the summit, participants were asked to ground themselves in realities that people of color experiencing homelessness face. Housing discrimination, employment discrimination, and a racially-biased criminal justice system all play a role in pushing people of color to the margins, and ultimately, into homelessness. The same can be said about the child welfare system, the education system, and communities’ responses to behavioral health. Participants were also asked to think about change at the systemic level—not just implementing a new program here and there—but instead rethinking everything about the way communities and states prevent and respond to homelessness. The summit focused on system-level changes because well-designed systems are the key to long-term, sustainable progress. In the Raikes Foundation’s youth homelessness work, our work is often about supporting communities to build or strengthen a safety net system where one doesn’t exist for young people. We tend to approach existing systems as if they’re broken and in need of fixing. If the system was working well, the theory goes, we wouldn’t be seeing racial disproportionality in the outcomes. At the summit, participants were asked to flip that narrative on its head. What if these systems aren’t broken? What if they’re perfectly designed to create the exact racial outcomes that we’re seeing? Recognizing that our systems aren’t just in need of a tune-up, but rather a wholesale redesign, opens the opportunity to reimagine systems with racial equity baked into the foundation. Stepping back even further, participants tried to eschew a desire for simple, easy answers, instead recognizing that there is no magic bullet to end homelessness. We don’t have all the answers, and in fact the expertise and know-how to properly diagnose problems and design an equitable system resides with those most affected by homelessness. For me, the summit was a powerful reminder that we have to be explicit and intentional if we’re going to eliminate racial disparities in homelessness. If we resort to talking about the challenge in color-blind ways, we won't identify specific and targeted solutions for those who need them most. Instead we’ll continue to recycle the same solutions that work well for some, and not at all for others. Without a focus on racial equity we won’t interrupt the historical, institutionalized, and implicit policies and practices that are leading to this disproportionality. 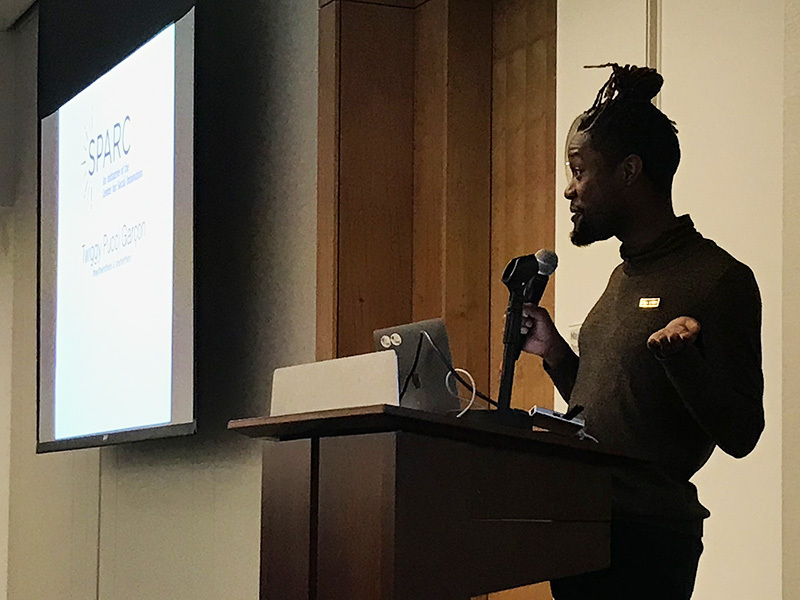 At the summit, funders from all over the country, supported by Funders Together to End Homelessness, talked about the critical role we can play in pushing these conversations and driving toward action. As funders we can be “color bold” and approach everything we do with an equity lens, from strategy development to grantmaking. The Racial Equity in Homelessness Summit was an important step in the right direction. Participants left with plenty to think about and plenty to do to integrate racial equity into their work. For our part, we will keep this conversation going, and continue to push ourselves and our partners to integrate equity in our efforts to prevent and end youth and young adult homelessness. These conversations can be uncomfortable, but we’ll only make progress by pushing through them. Avoidance is no longer tenable. And while it is true that it will take more than the homelessness sector to address racial inequities, it is also true that we can and must be part of the solution to eradicate systemic racism.